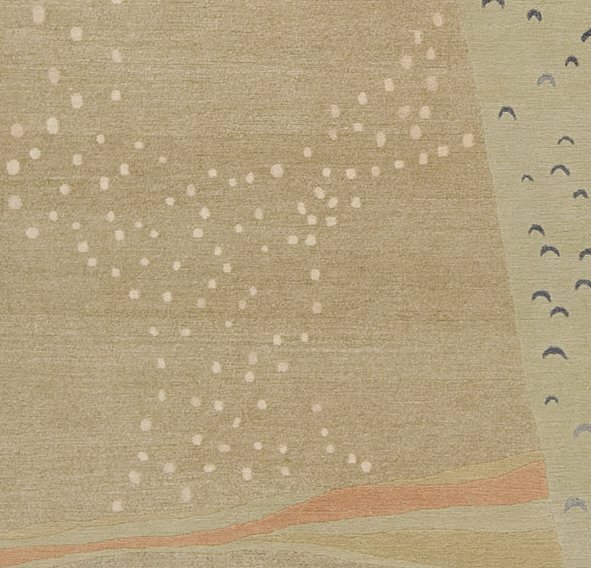 Marcel Zelmanovitch’s rugs present an interpretation of Japanese prints from the 19th century with expressions of light everlasting. Marcel Zelmanovitch drew inspiration from the Nabis for his Kimono collection. This avant-garde movement emerging at the end of the 19th century rejected realism in favour of an interpretation of nature stamped with emotion and spirituality. Within the Nabi pictorial movement – composed notably of Paul Cérusier, Pierre Bonnard, and Maurice Denis – Marcel Zelmanovitch is particularly inspired by the sophistication of Edouard Vuillard. His interiors, in which figures merge into complex textiles, are models KIM 01 09 www.diurne.com of compositional art and are clearly influenced by Japanese aesthetics. Being a scenographer and set designer Vuillard had a real talent for staging a scene. The collection is composed of 9 acts updating the traditional use of decorative panels with the addition of a more intimist dimension. 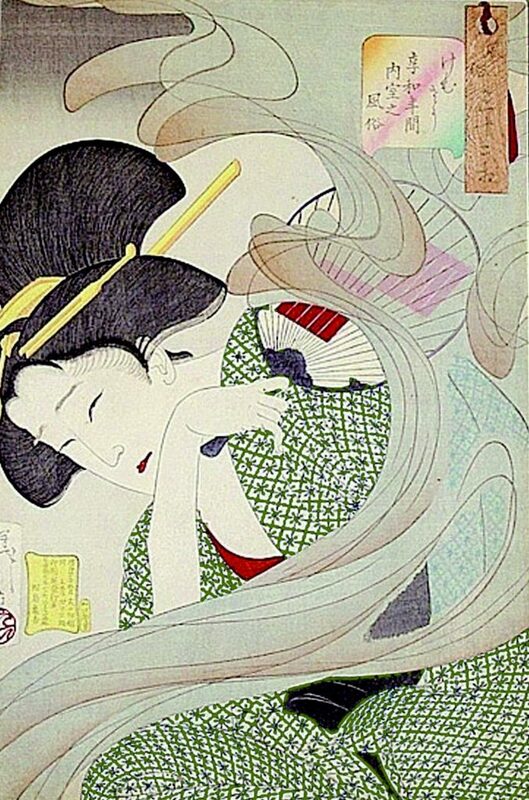 The works of the Kimono collection are interpretations of Japanese prints of actors in the highly popular art form of Kabuki theatre. The postures are expressive and the movement frozen in time. The Kimono rugs recreate this immediacy. Colour planes play around with transparency and the hints of calligraphy while the light keeps the stage alive and allows the story to unfold before us. 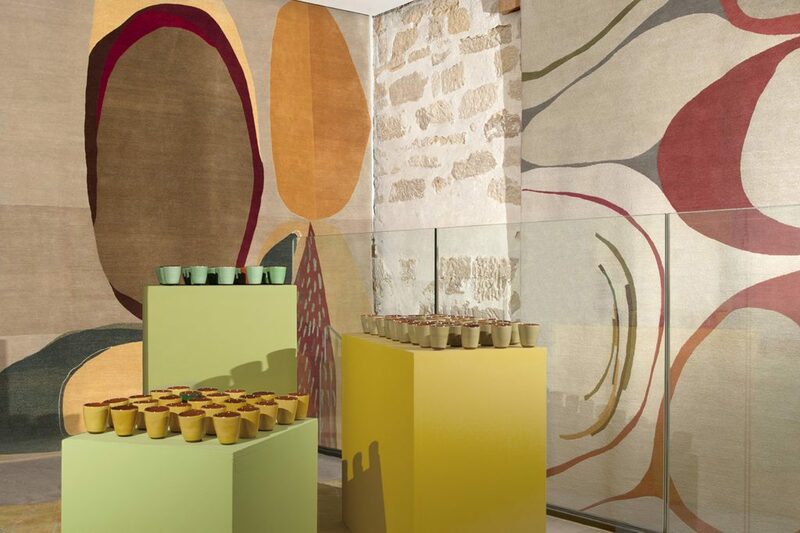 Light is at the heart of all the textile creations of Galerie Diurne. Its very name is a tribute to daylight. Each dawn is a promise of renewal for the curious traveller and enthusiastic creator Marcel Zelmanovitch. For him, it is not a question of controlling it but of giving it a field of expression through varying densities of hues, balance of patterns, choice of materials and weave. At times opulent like the undulations of waves, at others discrete like a faint murmur but on these rug tableaux the light is never at rest. 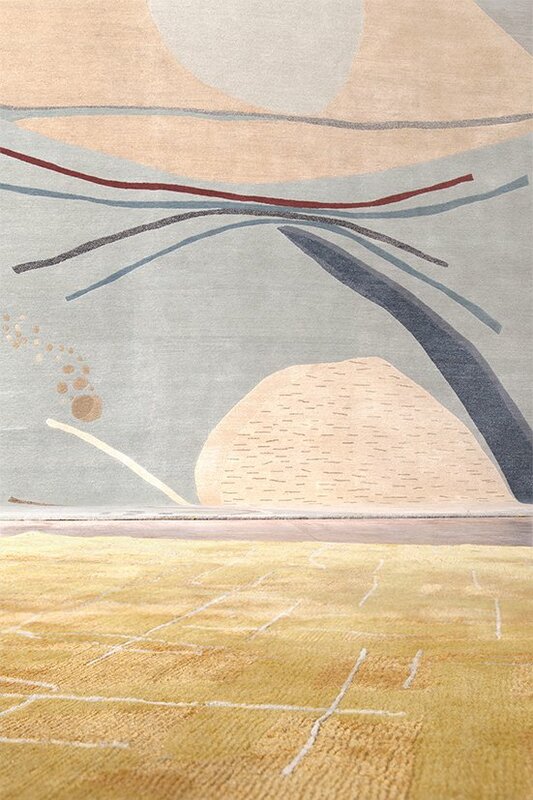 The light gives the colours their shimmer and caresses the textiles with its wandering touch. A time to dream, to imagine, to paint, to weave – a time to create. Each of MZ’s creations is unique. Designed to elevate and sublimate an interior they are infinitely more than bespoke suggestions. Should they be intended for a wall or a floor Studio MZ reinterprets format, pattern and colour to better embrace space, capture light and to highlight furniture. The rugs of the Kimono collection are hand-woven by long-standing collaborators in Nepal. The iridescent combination of wool and silk and the very fine pile create a delicate tremor reminiscent of that seen in the Kimono. The chiné colours and subtle irregularities in the weave add to their unique personality. Each of MZ’s creations is unique. Designed to elevate and sublimate an interior they are infinitely more than bespoke suggestions. Should they be intended for a wall or a floor Studio MZ reinterprets format, pattern and colour to better embrace space, capture light and to highlight furniture. Marcel Zelmanovitch, always a lover of fine craftsmanship, never misses a chance to promote fellow designers. For the Kimono exhibition and as part of the Paris Déco Off a delightful dialogue occurs between the chromatic composition of the rugs and the warm accents of the ceramic cups of the Buisson-Kessler ceramics workshop. 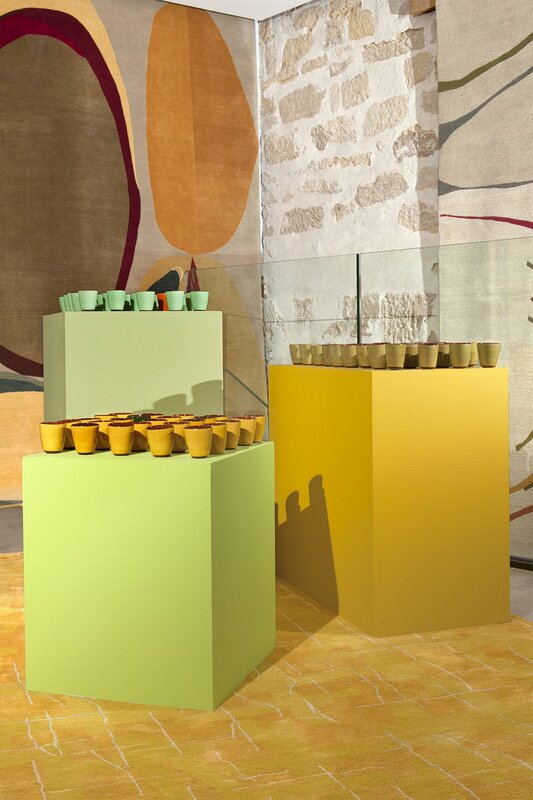 Why associate a cup and a rug? The common denominator linking ceramics and weaving is the subtle and delicate transformation of raw materials by the skill of a craftsperson. Rhythm and bursts of colour are also fundamental to both crafts. The Buisson-Kessler workshop began nearly 30 years ago in Apt, in the Lubéron and is named after its founder, Françoise. 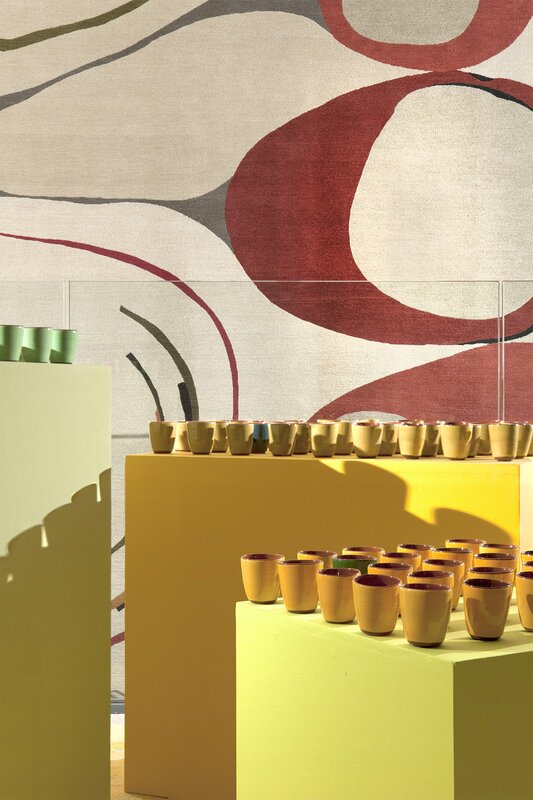 In their own words, the family of meticulous and passionate artisans produces « practical and colourful ceramics ». Their creations are small vessels of pure joy.